The 2020 Grand National will be held at Aintree Racecourse on Saturday, April 4th at 5.15pm. Sponsored by Randox Health, it is a UK handicap steeplechase over 4 miles 514 yards with horses jumping 30 fences over two laps. Below you can view all the 2020 Grand National Runners with ANTEPOST odds. The first winner of back-to-back Grand Nationals since Red Rum, Tiger Roll wrote himself into the history books. While plans are still up in the air for next season, he looks set to go to Cheltenham but weights will determine if he bids for a third Grand National in 2020. Could this former Gold Cup winner be on his way to challenge over the Aintree fences for the 2020 Grand National? He certainly has the credentials but would be near top weight if he did. A really great chaser and was a high hope for the Pipe’s going into the 2019 Grand National. But he pulled up at the 28th fence. Still young and will only be 8 years old by the time the 2020 Grand National rolls around. Always does well around the Grand National fences. Was 4th in 2018 and fifth in 2018 despite being top weight. He was also second in the Gold Cup so whether he will take his chances for a third time in 2020 remains to be seen. 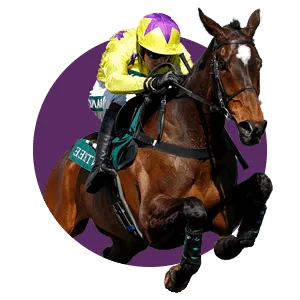 Winner of the Topham Chase at Aintree in 2019, Cadmium is a solid chaser that has won or placed in 10 of his 14 starts over fences. However, he will need to start running at 3m+ if he wants to enter the Grand National 2020! Nearly spoiled the Tiger Roll party in 2019 but had to settle for second place. The only mare to run in the race, she was also trainer Jessica Harrington’s first entry and a delight for those that had backed her each way at staggering odds of 125/1. A photo finish in 2018 meant hopes were in 2019 for Pleasant Company. Unfortunately, horse and jockey parted ways when Paul Townend was unseated at the 27th fence. Will he back for a third attempt in 2020? Going off on short odds, Rathvinden looked like the biggest challenge to Tiger Roll in 2019. He gave it all but had to settle for a very respectable third place finish under jockey Ruby Walsh. Has already stepped up in trip despite his young age and was second at Aintree in the Handicap Chase. Undoubtedly will still be too young for the 2020 Grand National and connections may swerve it. A Cheltenham winner in the Kim Muir over 3m2f, and if he continues those winning ways he will be a solid 2020 Grand National contender. Unlikely to mount a serious challenge. Could place with a slice of luck. A strong eachway chance and could even win it. The horses listed on this page are the potential runners in the 2020 Randox Health Grand National. These horses are NOT guaranteed a place. The full list of entries will be available in January 2020. Antepost betting rules apply. Odds listed on this page are taken from Paddy Power on 16/04/2019. Check the odds with your Bookmaker before placing a bet as fluctuations can occur. Full Terms and Conditions for the promotional bet offers can be found on the respective websites – please read them before signing up. Follow the trends and statistics to narrow down the Grand National 2020 field. Bookmakers across the UK anticipate that over £250m in bets will be staked on the 2020 Grand National from millions of customers. Only a few of those placing bets will manage to back the winner on the day. Will you be one of them? Some people will take a punt on a tip from a friend. Others will pick a runner based on the colour of silks worn by the jockey. While more will lump on a horse for no other reason than they like the name of the horse. In fact when Rule The World won in 2016 a significant amount of people who had backed it did so because it was their favourite Take That song! Being more strategic about your choice of a horse only involves a little extra work. Study the trends and statistics that have emerged over the last ten years and try to determine patterns that will help whittle down your selections. Only four winners carried more than 11-01 and they were Tiger Roll in 2019 (11-05), Many Clouds in 2015 (11-09), Neptune Colognes in 2012 (11-06) and Don’t Push It in 2010 (11-05). Seven of the last ten winners were 9, 10 or 11 years old. Tiger Roll in 2018, One For Arthur in 2017 and Many Clouds in 2015 broke that trend as they were all eight years old. Only two winners went off as the favourite from the last ten Grand Nationals. They were Tiger Roll in 2019 (4/1) and Don’t Push It in 2010 (10/1). It can be argued that racing fans actually backed jockey AP McCoy, more so than the horse! Mon Mome won on 100/1 but he was first since 1967 to do that. In fact the average odds of a winning Grand National horse are around 20/1. Eight winners had at least four seasonal runs before going on to win the Aintree spectacular. The only two who had less were Ballabriggs in 2011 and One For Arthur in 2017 and they both had run three times. Nine winners had either won or placed in a race longer than 3m in the season they won the Grand National. Only one, Auroras Encore had not won or placed on the run-up to the 2013 National. None of the last 10 winners unseated their jockey in the season they won the Grand National. Eight of the last ten winners had not fallen in the season they won the Grand National. Ideally what you’re looking for is a Grand National 2020 Runner that is carrying 11-00 or less, who is 9, 10 or 11 years old. 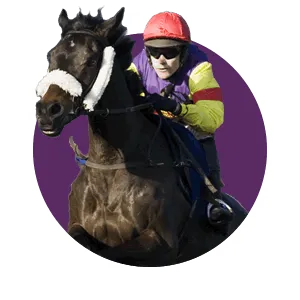 Generally, avoid the favourites and look for those who are priced between 14/1 and 33/1 and who have at least three seasonal runs, with extra consideration for those who have won or placed at 3 miles or more. Tiger Roll was the exception, not the rule. Or simply tear up the stats and pick a runner because you like its name! In the last 10 years just three winners carried more than 11st. Only 2 pre-race favourites have won the National since 2007. 8 winners had at least 4 seasonal runs before going on to win the Grand National. The most famous fences of the Grand National. There are sixteen individual fences that need to be jumped in the 2020 Grand National, 14 of them twice as the race is run over two laps of the famous Aintree course. Becher’s Brook is 5 feet high with the landing side between 6 inches and 10 inches lower than the takeoff side and is named after Captain Martin Becher who fell there in the first Grand National and took shelter in the small brook running along the landing side of the fence while the remainder of the field thundered over. Foinavon is 4 feet 6 inches and is one of the smallest fences on the course. It was named in 1984 after the 1967 winner who avoided a mêlée at the fence to go on and win the race at outside odds of 100/1. Valentine’s is 5 feet high with a 5 feet 6 inches (1.68 m) brook and was named after a horse called Valentine who was reputed to have jumped the fence hind legs first in 1840. A famous part of the course located between fences 12 and 13 when the runners cross it near to the Anchor Bridge, a popular vantage point since the earliest days of the race. One of the most difficult fences on the course, The Chair is 5 feet 2 inches high but is preceded by a 6 ft wide ditch and Grand National Runners only jump this once, on the first lap. The fence was originally the location where a distance judge sat in the earliest days of the race. The practise was done away with but the monument where the chair stood is still there. The Water Jump is 2 feet 6 inches and is the second fence that runners only jump once during the race. The Water Jump was one of the most popular jumps on the course but over the years, The Chair has overshadowed it in popularity. Once all the fences have been jumped the runners and riders head for the home straight which is one of the longest in the United Kingdom at 494 yards and one that many potential winners have had victory snatched away! In 1928 Easter Hero refused at the Canal Turn and took out 20 horses, leaving just two horses to complete the race. Historically fence 1 accounted for more fallers than Becher’s Brook. Modifications were made in 2012 to make the fence safer for horse and jockey.